Born in Holguin, Cuba on May 9, 1975, Julio L. Sainz started playing drums at the age of 12 and became a professional by the age of 20. 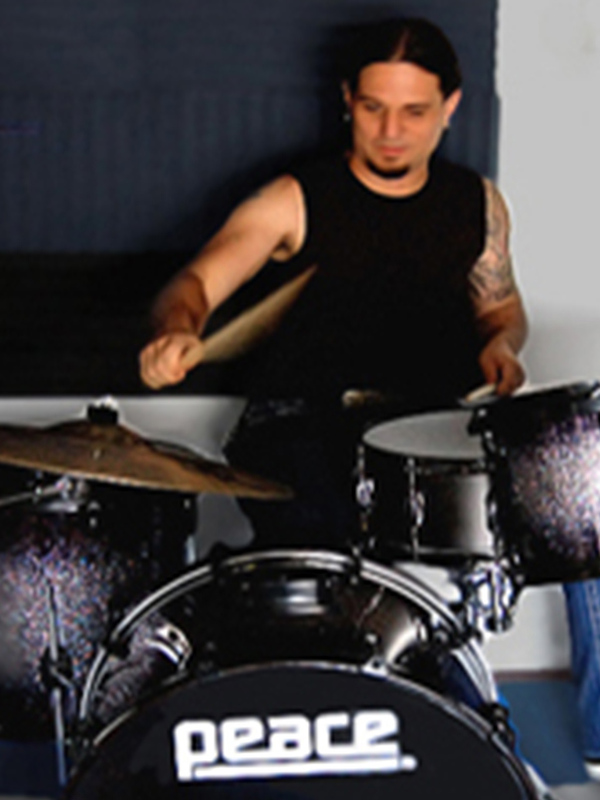 Self-taught on the drumset, he developed his unique musical concept by listening not only to rock, but also to a variety of musical styles from his native Cuba. He then applied elements of these styles to his drumming in a melodic and rhythmic fashion but with the force of heavy metal. His playing style has been described as "simple, unique and powerful”. During his career, Julio Sainz has performed with ANGELES DEL INFIERNO, NOELIA (Puerto Rican pop-start), Guillermo Pascual, DANILO MONTERO,Roy Palavicini , Martin Verry (286, Seis Cuerdas), Frank Patallo (DJ Monkey, Rob Haye’s Project), Mario Maisonave, Irene Garcia (Noelia), Javier Otero, ZUR, and currently is recording and touring with Erick Bolivar. Julio continues to intrigue audiences the world over, with his unique blend of Afro-Cuban rhythms and heavy-metal inspired grooves. These attributes, matched with his energy and immense talent, have made Julio a valued artist at PEACE DRUMS since 2007, as he will continue to be for many years to come.